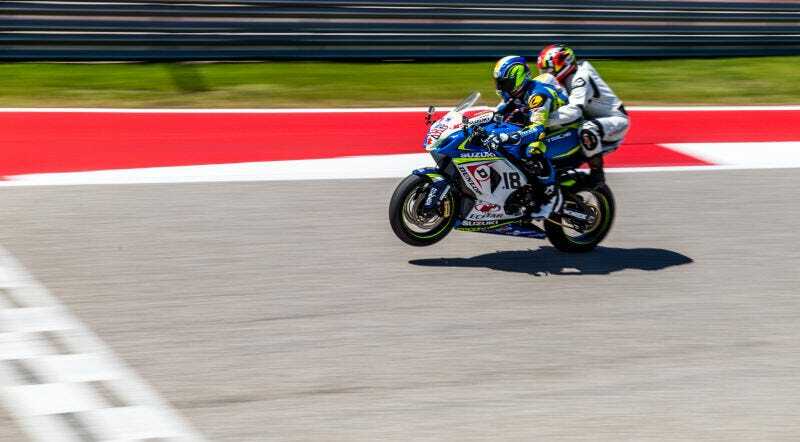 Our very own Alanis King went on a wheelie-poppin’ thrill ride around Circuit of the Americas on the back of a 170 mph MotoAmerica race bike. The only issue is, we didn’t have a microphone inside her helmet to hear exactly what she thought while hanging on for dear life. It doesn’t hurt that the source audio is of Alanis’ favorite animal appearing to say “no,” but “oh no no no no” is a pretty accurate description of leaning way into turns at ludicrous speeds on a motorcycle for us four-wheel types. Congratulations, Foodphotographer, for managing to one-up even our own video team!